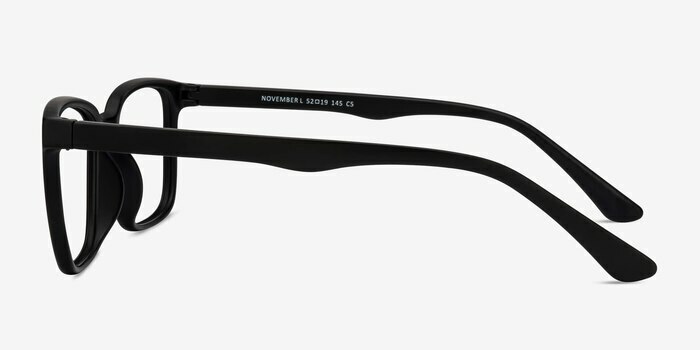 Channel your inner "hep cat" with November. 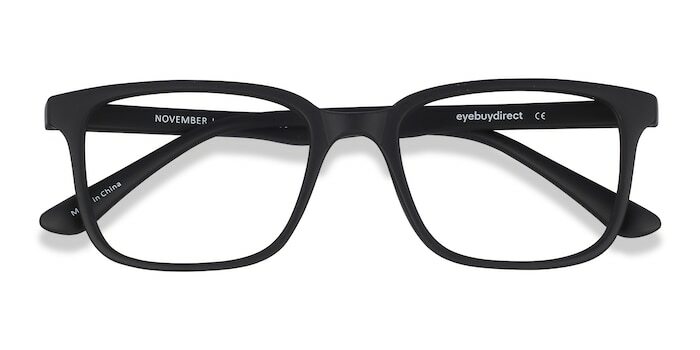 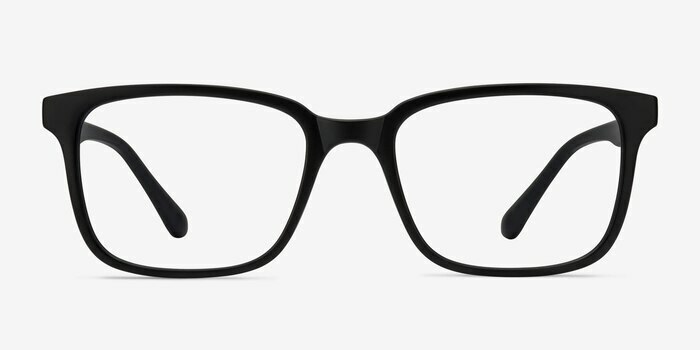 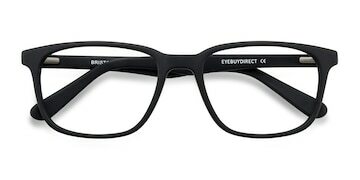 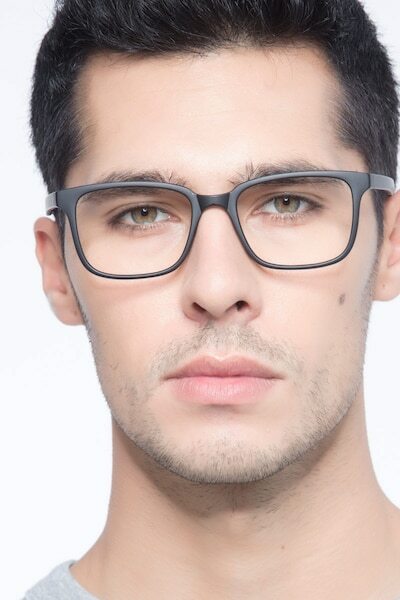 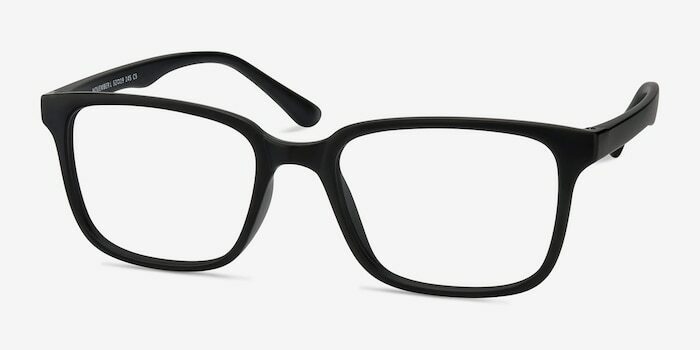 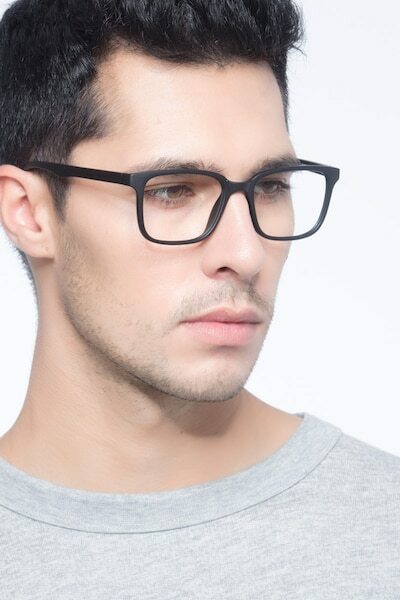 The matte black finish of these square eyeglasses gives it a refined, retro look. 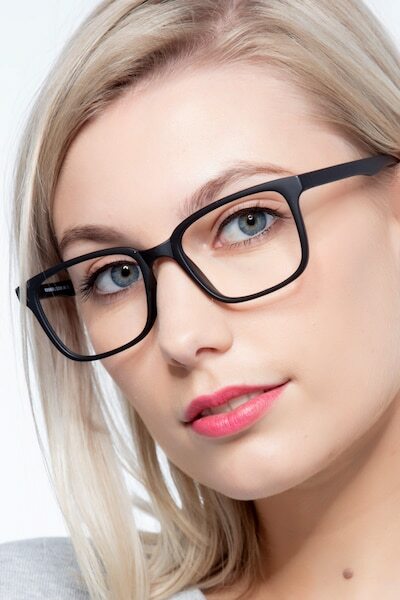 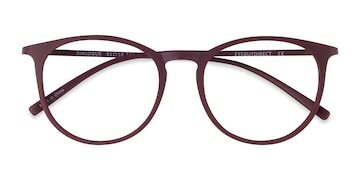 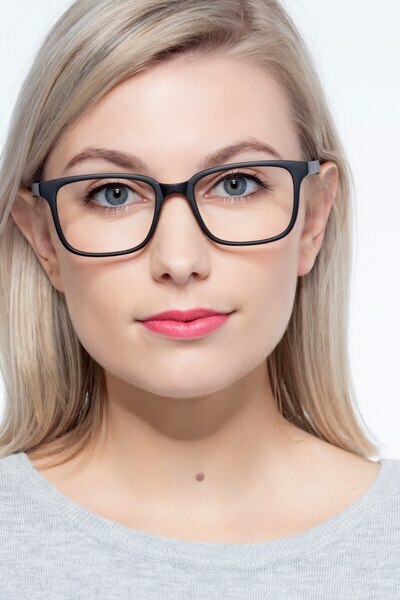 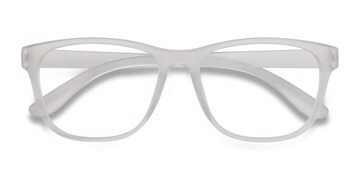 Broad temple arms and saddle nose bridge make this frame perfect for anyone on the hunt for a pair of chunky glasses.